Founded in 1993, South Texas College is accredited by the Southern Association of Colleges and Schools Commission on Colleges and offers more than 120 degree & certificate options, including associate degrees in a variety of liberal art, social science, business, math, science, technology, advanced manufacturing and allied health fields of study. Additionally, South Texas College is the only community college in the State of Texas to offer four baccalaureate degrees. South Texas College has a faculty and staff of more than 2,700 to serve the college’s six campuses, two higher education centers, and one virtual campus. A confirmation election, held on August 12, 1995, established a taxing district for the college. Seven districts, based on population, were also approved for single-member representation on the Board of Trustees. South Texas College offers 121 degree programs and certifications as well as continuing, professional and workforce education programs and Dual Credit courses for eligible high school students. Looking for a department or service? Refer to the list of our institutional divisions for assistance. For a more comprehensive list of individual departments and services, you can visit our A-Z index. 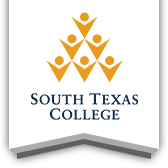 South Texas College is accredited by the Southern Association of Colleges and Schools Commission on Colleges to award the Baccalaureate and Associate degrees. Contact the Commission on Colleges at 1866 Southern Lane, Decatur, Georgia 30033-4097 or call 404-679-4500 for questions about the accreditation of South Texas College. South Texas College has locations conveniently located throughout Hidalgo and Starr counties. In addition, South Texas College also has Workforce Training Centers and Higher Education Centers.